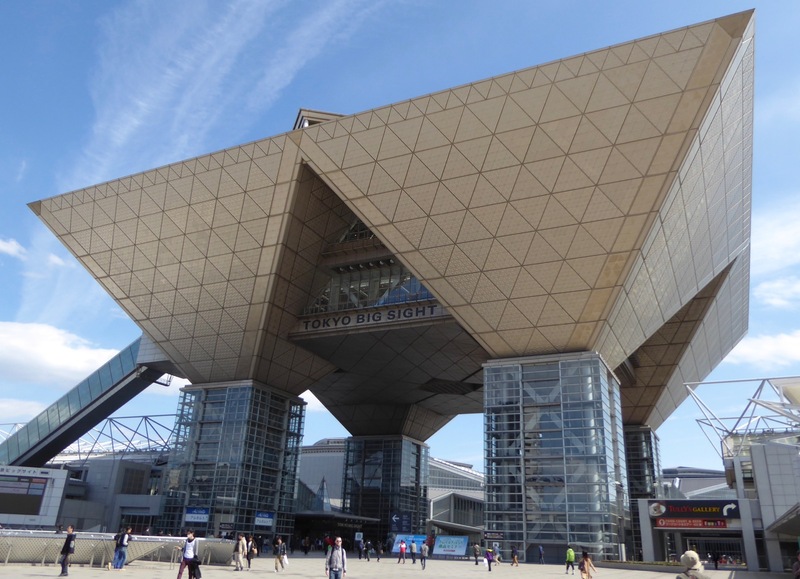 I’d never been to a motorcycle show, so when the 43rd annual Tokyo Motorcycle Show rolled around this year, I decided I should take the 20min train journey down to the Big Sight venue from my workplace, and see how it was. 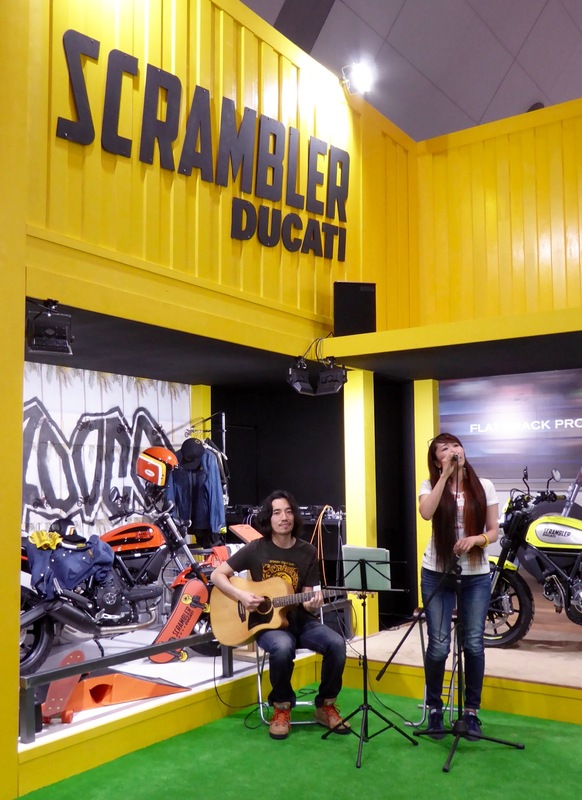 To set expectations, this isn’t a top tier bike show like EICMA, there aren’t usually major new bike announcements made there, but they are generally well attended, and showing the latest announced models from most of the major manufacturers, and many boutique brands which means there are lots of motorbikes! Enough said. So into the show. Big Sight, the upside down pyramid in Tokyo Bay, with a giant hand saw in front of it. It’s a good venue all told and it was easy to the find the way on to Halls 1 & 2. Inside, the show filled two of the four main halls, and there was a decent crowd on the Friday afternoon, plenty of atmosphere, and a fairly diverse demographic spread of all ages, and yes mainly men, but with a decent percentage of women riders too. There was a ladies focused area, which had a lot of good advice on bike mods and models which emphasised lighter bikes, and seat height adjustments. I notice it also had a much better cafe area than the one near the entrance too. 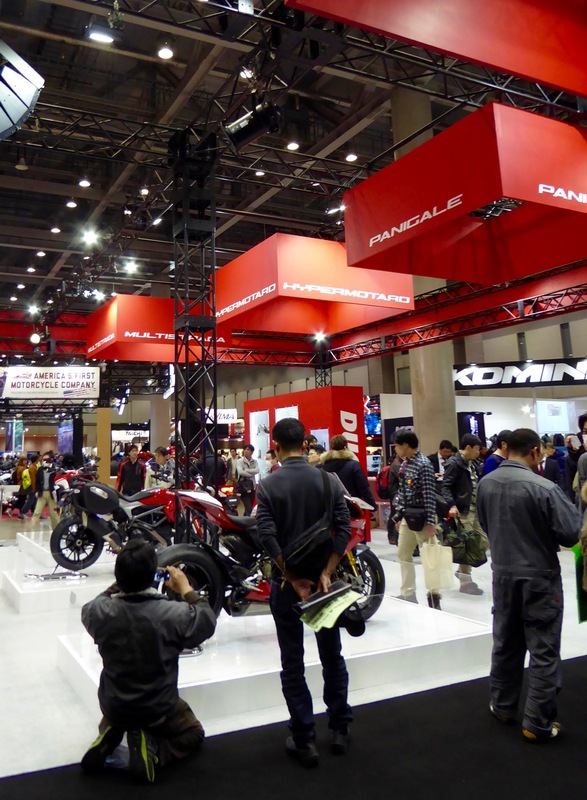 As you’d expect, there were a lot of smaller vendors, magazine vendors, parts vendors, and of course the bike manufacturers from home and abroad. 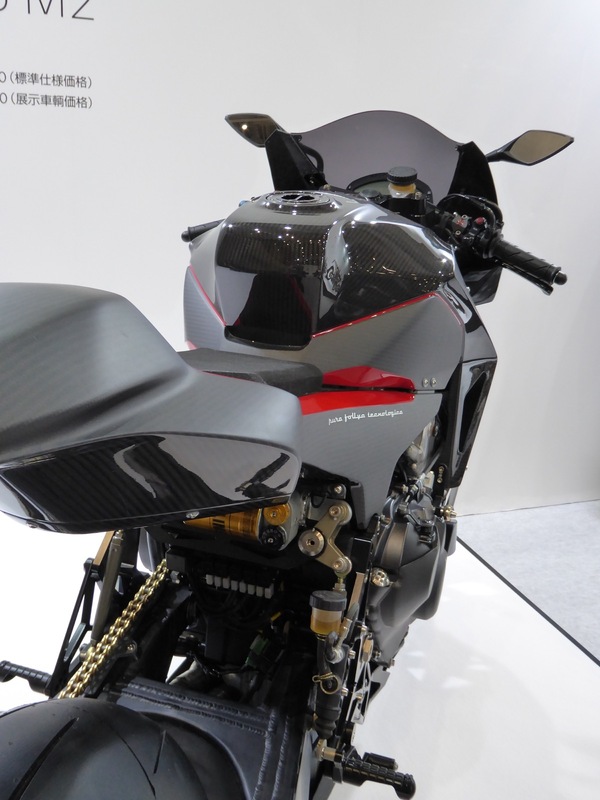 There were as many cameras as people, and most of the bike models you were able to sit on, excepting some of the more boutique bikes, such as the Italian Vyrus models, which start at 6,300,000yen (~55,000USD) and keep going to over 13,000,000yen. Ouch. But they are very nice. I spent a little over three hours looking around, and it was worth the 1,400yen. There were plenty of people to talk to and ask questions, and some free samples and stickers, but at least whilst I was there there weren’t too many awesome give-aways. 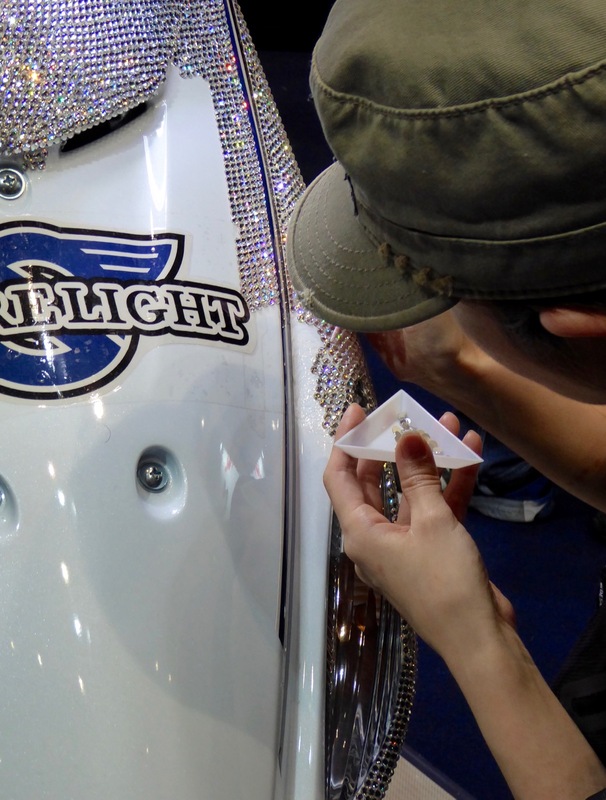 One stall was promoting their various LED lighting systems, and had a bike all done up with sparkling glass beads, thousands of them. It looked great under the show lights, so we had a look at the stand, and even had a chat with the hard working lady whose job is was to attach the beads by hand. It was good to see bikes I don’t usually see really, such as the scooters from Adiva, Sym and Kymco – many of which looked very respectable – from the larger American oriented cruisers, European bikes including Norton, Royal Enfield from India, to the local Japanese bikes. All had a presence of one size or another and most of the staff were able to answer all of the questions I had, even about insurance and spares. 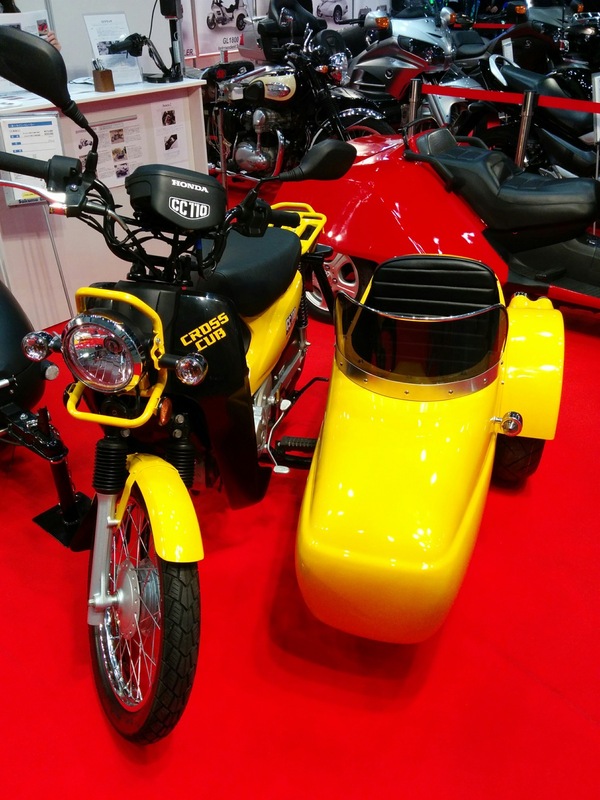 It’s easy to point at the Steve McQueen replica bikes, the Vyrus or high end BMW and Honda Rallye race bikes as the most memorable items, but for some reason, I quite liked the more accessible and fun items like modded Honda Super Cub Cross with a side car. Sure, I couldn’t fit in the side car, and I’m not sure what the performance would be like, but in it’s yellow and black, it looked the part. Ticket to Ride, Well, sit.